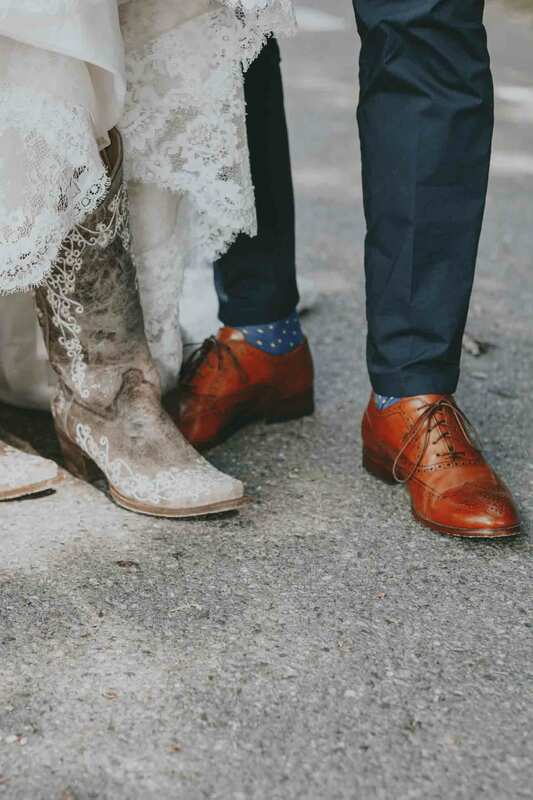 So, what are the best socks for cowboy boots? Grabbing the first pair of socks that come to hand when getting dressed might not be a good idea. You wouldn’t dream of wearing over the calf socks with sandals—would you? Equally, you shouldn’t consider wearing sneaker socks with your western boots. Just because you can’t see the socks under boots, wearing any old socks does not make it right. Read our guide to the best western boot socks, and the reasons why we chose them. Made from fabrics designed to keep your feet dry all day, these over-the-calf socks are perfect for western boots. A half-cushioned foot with arch support and ribbed leg provides comfort for your feet and legs. Merino wool helps keep your feet warm in winter and cool in summer. Wool also naturally keeps your feet free from odors. The reinforced toe and heel protection, along with smooth toe seams, provide comfort. The ribbed top ensures the socks stay up all day. This lightweight sock is made from a polyester, Spandex, nylon and rubber mix. It has padded protection from heel to toe, and an arch compression band holds it in place. The perfect fit top ensures that your socks don’t slide down inside your boots. Designed as socks for western boots, these support your feet and legs to reduce fatigue. The no-rub seam on the toe is low profile, for comfort. Your feet remain fresh and dry with the antimicrobial yarn, which prevents bacterial growth. The superb performance of the Cowboy Certified Over the Calf Socks by Dan Post will keep you protected and comfortable all day long. These wool blend socks have fully cushioned feet and legs. There is an arch support for added comfort, a stay-up top and leg, and a reinforced toe and heel. Moisture wicking keeps feet warm, dry and fresh all day. Wrangler doesn’t just make jeans. The company has been operating since the early 1900s and produces quality clothing products in the USA. The all-purpose boot sock is one of many items Wrangler manufactures. The socks are made from 80 percent polyester, 17 percent nylon and 3 percent Spandex. They are offered in three different colors: black, gray and white. The sizes are large, for shoe sizes 9 to 13, and extra-large, for shoe sizes 12 to 15. Designed to be worn in all climates, they will keep your feet dry and cool with their moisture-wicking properties. The heel and toe are reinforced to withstand wear and tear. This makes the socks durable and extends their lifespan. The toe has a smooth seam, making it feel like it isn’t there. A half-cushion and arch support in the foot provides all-day comfort and absorbs impact on your feet, lessening fatigue. The top of the sock is ribbed to help hold it in place and prevent it from slipping down your leg. The socks are machine washable. Ribbed top prevents socks from slipping. Half cushion and arch support. Inconsistencies in sizing and quality between different colors. These socks from well-known brand Wrangler are good for any boots. Their moisture-wicking properties and comfort will keep your feet happy all day long. The Wolverine company has been making sturdy work boots for over 130 years. These socks are the perfect accompaniment to work or western-style boots. Manufactured with 68 percent acrylic, 20 percent Merino wool, 11 percent nylon, and 1 percent Spandex, they are available to fit foot sizes from 9 through to 13. There is a choice of two designs, gray with black accents, or gray with red accents. Keeping your feet warm in winter will be a breeze with their thermal protection. The wool blend is naturally moisture wicking and antimicrobial, protecting your feet and boots from odor. Full cushion protection on the foot of the sock, with a reinforced heel and toe, ensures comfort. The toes also have a smooth seam and there is an embedded arch support. Designed with a stay-up top, they will remain in position on your legs. You won’t have to worry about the socks sliding down inside your boots and causing discomfort. The socks can be washed in the washing machine. Natural wool blend for thermal protection. They can be prone to loosening and slippage. Made from a natural wool blend, these socks a have full foot cushioning and smooth seamed toes. Thermal protection will adjust with the seasons. Noble Outfitters specializes in all things western, from boots and clothing to gloves and socks. The best dang over the calf boot sock is made with cowboy boots and work boots in mind. You have a choice of black with gray accents, or white with gray accents. They come in sizes medium, for men’s shoe sizes 5 to 8.5, or large for men’s shoe sizes 9 to 12. They are composed of 76 percent polyester, 14 percent Spandex, 6 percent nylon, and 4 percent rubber. The socks are made to keep your feet cool, wicking moisture away from your skin. This lightweight sock has a mesh panel across the top of the foot for more breathability. There is also padded protection from heel to toe, providing comfort when wearing your boots. An arch compression band helps support your feet and prevents them from getting tired. A perfectly fitted top ensures that your socks stay in place as long as you need them to. Mesh band for added breathability. Arch compression band for foot support. Might not fit if you have very large calves. These socks have a built-in arch support and an added mesh band on top of the foot for extra breathability. The lightweight, moisture-wicking fabric keeps feet dry and cool. These socks from the iconic Dan Post brand were designed for the cowboy, or cowgirl, who leads an active life in the saddle, roping and riding. They certainly fit into the category of the best western boot socks. 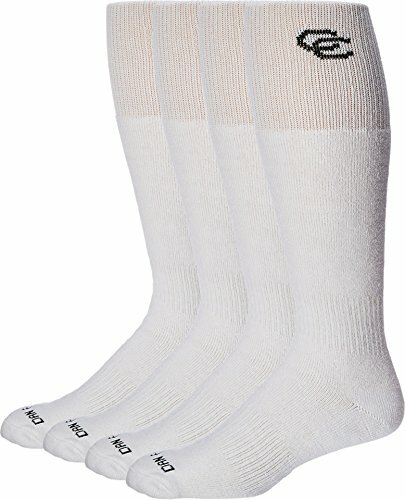 Three sizes are available for these white socks: 7–10.5, 10.5–13, and 13.5 plus. The fabric is made from yarn which is spun in the USA. The material contains 80 percent ring-spun cotton, 17 percent Sorbtek, and 3 percent Lycra. The Sorbtek allows moisture to be moved away from your skin at a faster rate. Moisture management in these socks adapts with changing temperatures, keeping your feet warm or cool as required. Antimicrobial properties prevent feet from becoming odorous and inhibit the growth of bacteria. A low-profile toe seam prevents rubbing and irritation, there is also an added ankle support and reinforced heel and toe. The over-the-calf design holds the socks in place. While they are machine washable, do not use fabric softeners or chlorine-based bleach. Sorbtek added to the yarns for moisture control. Extra support at the ankles. May be on the smaller side for people with large feet. With reinforced heels and toes, and extra ankle support, these socks are durable and comfortable. Sorbtek has been added for moisture and odor control, keeping feet fresh. This one’s for the girls. After all, it’s not just the guys that wear western-style boots. 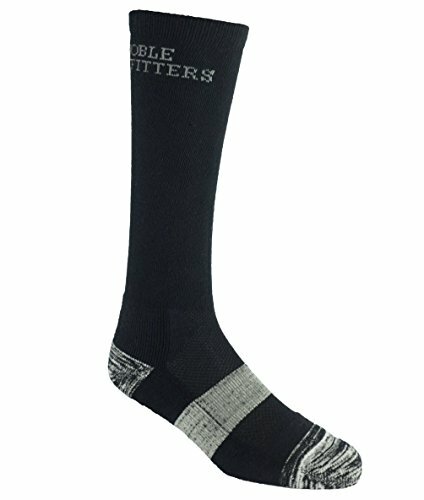 These socks are suitable for wear with cowboy boots, or for wearing while hiking, camping or hunting. They come in a feminine pale gray color with pink accents. Available in size medium, for shoe sizes 6 to 9, they are made from a blend consisting of 60 percent acrylic, 20 percent Merino wool, 17 percent nylon, and 3 percent Spandex. They are super soft and comfortable. Medium to heavy weight, these socks have a reinforced heel and toe. The legs and feet are cushioned, giving extra support and making them snug. 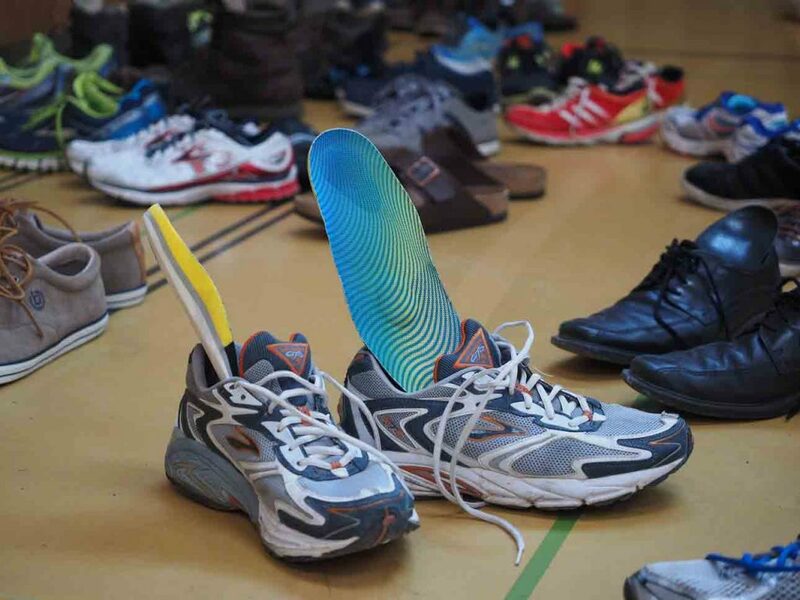 An arch support helps reduce the chance of tired feet. The inclusion of Merino wool helps control moisture build-up, allowing your socks to dry quickly and keep your feet free from odors. They also will not irritate your skin. The tops and legs are designed to stop the socks slipping down into your boots. These socks are made entirely in the USA. Merino wool for moisture wicking. Reinforced heel and toe and arch support. Might not keep toes warm in extremely cold weather. Designed for ladies, these over the calf socks are perfect for western-style boots. Soft and cozy, Merino wool keeps feet dry, warm and odor free. Arch support helps prevent feet from becoming fatigued. Why Do You Need Special Socks for Cowboy Boots? There is nothing worse, when wearing boots, than having socks that fall down and bunch up around your ankles. Another bugbear is a nasty seam across the toes that digs in, rubs and causes blisters. Then comes the wear at the heels and toes, not the best way to get air to your feet. Tempting as it might be to just grab the pair of socks closest to hand, wearing the right socks will protect your feet and your boots. You don’t need to be fashion conscious, your socks can’t be seen. They don’t even need to match. I don’t know if, like me, your washing machine loses socks. I am sure there must be a section of Area 51 that is full of odd socks. Having socks which are designed for western boots can make a big difference to their comfort. When the seams are in the right places, the reinforcement is where you need it and they stay up, it’s a huge bonus. What Kind of Socks to Wear with Cowboy Boots? Now that we know any old kind of socks just won’t cut the mustard when wearing western-style boots, what should we be looking for? Let’s look at some of the things that will make a difference to the best socks for western boots. Stupidly, I thought wearing a short pair of socks with my cowboy boots would save me the bother of hiking up a pair that kept falling down. What a huge mistake that was. Not only did the socks bunch up around my heels and ankles, but I was also left with very sore patches on the back of my legs. The boots had rubbed my calves, leaving them irritated and raw, and I had blisters on my heels. Wearing shorter style socks is definitely not the way to go. The best western boot socks are generally longer and the top is designed to stay up. This negates the need to pull them up every five minutes, and protects your legs from chafing. Choose a sock that will cover your calves and that has some form of elasticity at the top to hold them up. There are some that are ribbed and have extra cushioning around the leg. Some will also have ankle support to help prevent fatigue, as well as to keep them in place. Not only that, they will keep your legs warm and protect them from the elements. Particularly when it’s cold and wet. No matter how clean we are, our feet sweat. Especially when enclosed in a nice warm pair of boots all day. Wearing socks that are not able to wick the moisture away from your feet can lead to irritation and foot odor. Some fabrics are better than others at moving moisture away from your feet, also called wicking. Most socks are made from a combination of various fibers. Wool has very good wicking properties. A common wool used in the manufacture of socks is Merino wool. The wool has fine fibers and doesn’t make you itch. It also has the ability to move and trap moisture released from your skin in the form of sweat. Impressively, this wool can absorb up to 30 percent of its weight in moisture. This leaves your feet fresh and dry and prevents bacteria from multiplying. It’s the bacteria that give your feet a nasty odor. Merino wool will keep your feet cool through the changing seasons. It’s also hard wearing so you won’t easily wear holes in your socks. This versatile fabric is reasonably inexpensive. While it doesn’t have the absorbency of wool it is very good at wicking moisture. It is also pretty quick drying, making it a good choice for inclusion in fabrics for socks. Although nylon is not very good at wicking moisture, it does have good absorbency. It is often found mixed with other fibers in socks. Nylon is also a strong fiber so provides socks with durability. Cotton is very good at trapping moisture but not so good at releasing it. 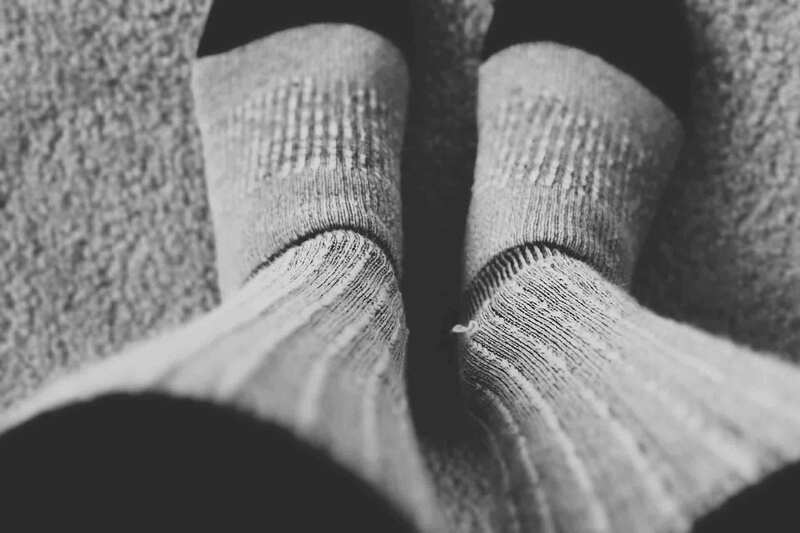 This means that once cotton socks absorb the sweat from our feet they don’t let it evaporate. This can lead to odor and irritation from blisters. Pure cotton socks are therefore not a good choice to wear with boots. You might often find that cotton will be blended with other fibers that help them release the moisture they absorb. 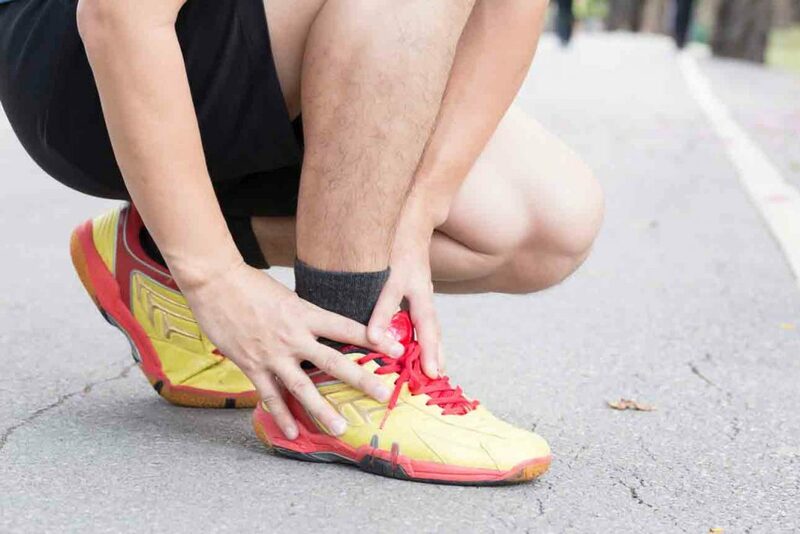 These materials have stretch qualities and provide a better fit for your socks. They are often added into the mix for socks to provide support and help them stay in place. Comfort is another factor you need from a good sock for your cowboy boots. Cushioning at the foot of the sock will provide extra comfort for your feet. Arch support will help prevent fatigue and aches. Seamless toes will stop rubbing on pressure points, keeping blisters at bay. Be careful not to choose socks that are too thick. This can reduce the amount of room inside your boots, making them tight leading to blisters. Choosing a more expensive quality sock can save you money in the long run. They are less likely to wear as quickly and develop holes, meaning they will last you longer. Q. 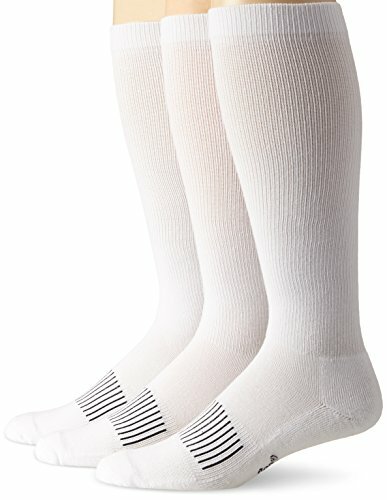 Why Is the Fit of My Socks Important? Q. Are Wool Socks Itchy? Merino wool has a fine fiber and does not itch. It is also good for keeping feet at the right temperature, no matter what the season. Add to that it’s natural antimicrobial properties to keep feet odor free, it’s a perfect choice for socks. WHICH SOCKS ARE THE BEST FOR YOUR WESTERN BOOTS? Taking all factors into account, in our opinion, the best choice for the best cowboy boot sock might be the Wolverine sock. It fits over the calf, is made from a Merino wool blend and has a fully cushioned sole with smooth toe seams. This sock will provide comfort and keep your feet fresh and dry. If a wool blend does not appeal to you, the other socks are all close contenders. We hope you enjoyed our review and found it useful. We welcome your comments and would love to hear how you get on. Please share our guide so others can benefit as well.